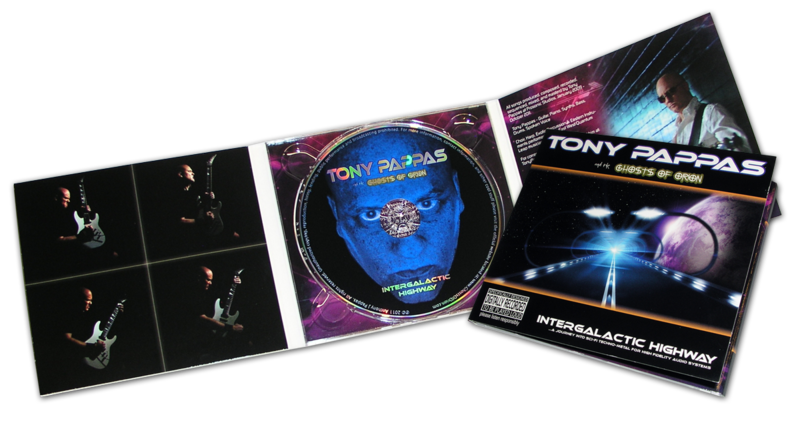 Hi, I'm Tony Pappas. I'm a professional software developer and musician. 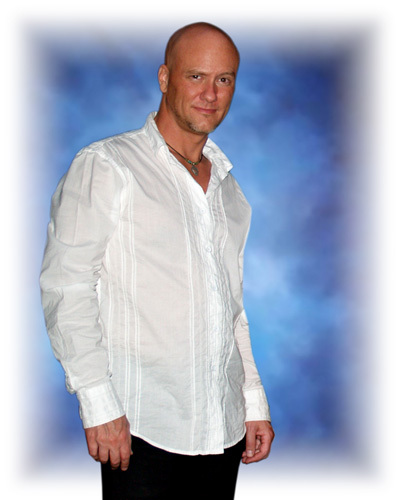 I'm also the president of Prosonic Studios: a music, software, and multimedia development studio. I created Prosonic Studios in 2005 so that I could share my music patterns and custom software with millions of people around the world. I love improvising on my guitar and it's a lot of fun with a drummer. But I couldn't have a drummer around 24/7 so I started using a drum machine. It wasn't long before I got my first computer and found Cakewalk. That's when I started writing my own drum beats. They were way better than the ones in the drum machine and it wasn't long before I had a collection of high-quality beats to jam on. As time went by many of my friends wanted the beats too - so I created a website. The Prosonic website would allow me to give my patterns away for free and I could also sell larger packs to people who wanted more. I never made enough to pay the bills, but the extra money allowed me to work part-time and I was able to create more patterns and software over the years. Now I have over one million patterns in twenty three musical styles. It's become the largest midi patterns library in the world! 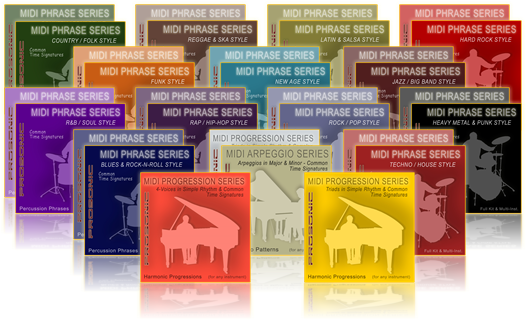 Prosonic Studios is also a music book publishing company. I've created and published six hi-tech reference books for guitarists. These books are for players who want to expand their harmonic color palette so they can spice up their songs and make their music more interesting. 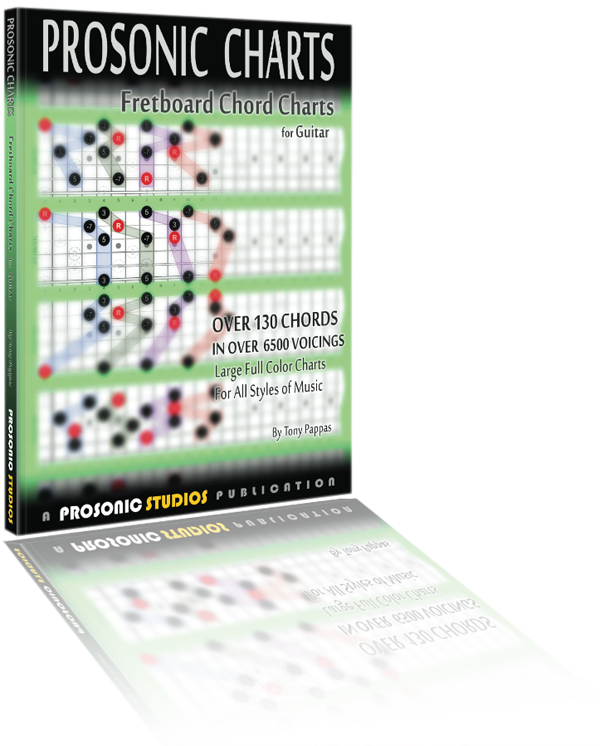 They've been hailed as, "the most comprehensive books on chords since Ted Greene's Chord Chemistry" (Greene's "Chord Chemistry" is the gold-standard for chord books). I recently finished Sessions™: a cutting-edge 3D simulator that teaches people how to play the guitar, piano, and bass much faster and more efficiently than traditional methods. 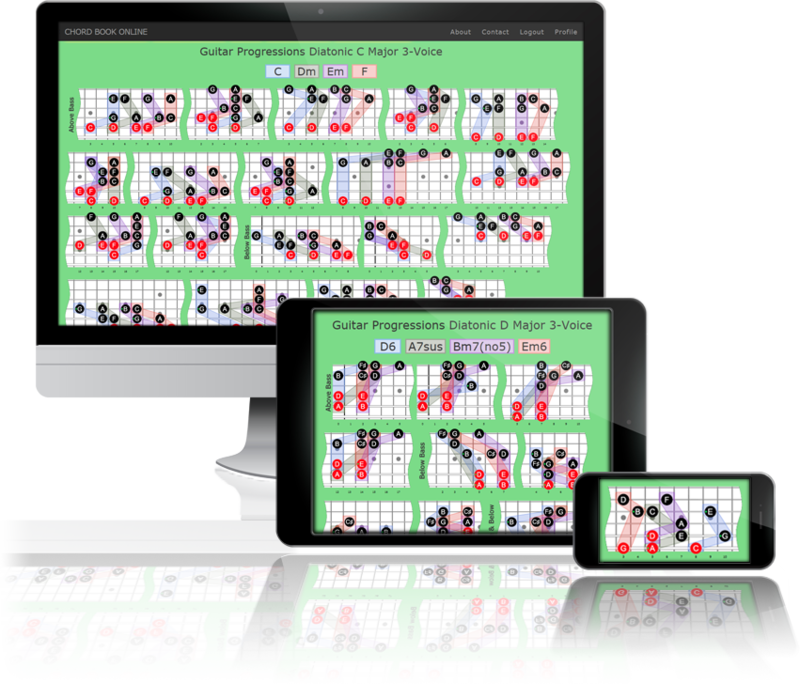 Sessions™ also serves as an interface to my library of chords, harmonic progressions, and melodic patterns (the largest database of harmonic progressions and melodic patterns in the world). This thing is going to blow you away! I'm currently working on Chord Book Online: a revolutionary Chord Book showing where all the chords are located on guitar, bass, and piano. 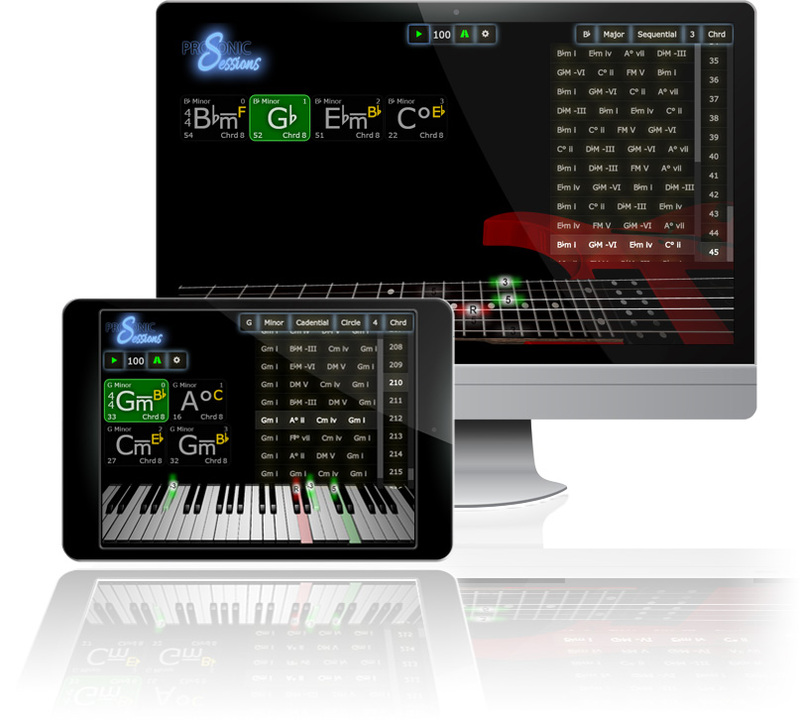 It's also the largest Chord Progression Book in the world, where players can view and hear thousands of professional-quality chord progressions on any device, i.e. computer, iPad, or phone. 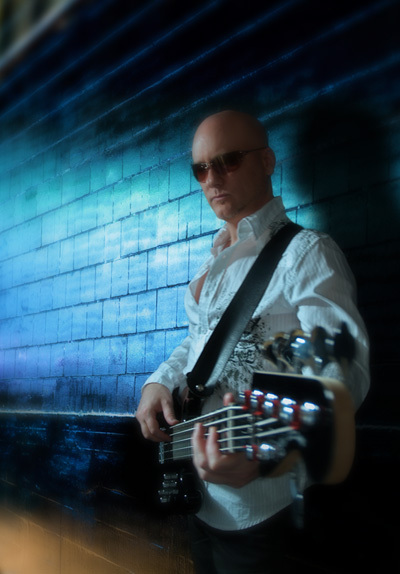 I created the album cover, the website, the photos, the concept, wrote the music, performed the instruments, recorded, mixed, and mastered the whole album here at Prosonic Studios. It's been a lot of work (I'm the only employee here) but it's been a lot of fun. I hope Prosonic Studios continues to grow and provide great content and software for many years to come. It wouldn't have been possible without your support - thank you very much! 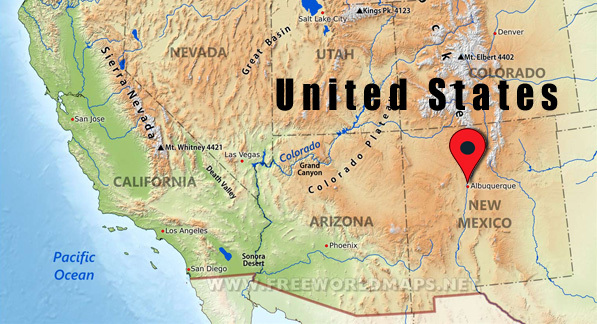 Prosonic Studios is located in Albuquerque, New Mexico USA.